Following a low glycemic index diet means you have to cut down on sugar and carb-rich foods. This is good especially if you suffer from diabetes, obesity, hypertension, insulin resistance, cholesterol etc. GI is the measure of a particular food’s carb content and its effect on the blood sugar levels. Foods that raise the blood sugar are high GI foods. If you consume too much of GI foods, it can lead to serious health problems. According to research made, consuming low GI food can prevent obesity related diseases, diseases of the cardiovascular system and certain prostate, colon and breast cancers. Carbohydrates are broken into simple sugars inside the body. Consuming foods rich in carbohydrates can increase the postprandial blood sugar levels. You experience the same effects when you consume sugar directly. Glycemic index is a way of classification of foods depending on their influence of the postprandial blood glucose levels. Starchy foods have highest GI when compared to foods rich in fibre or protein. The more the GI of food, more is your chances of developing obesity and other diseases related to it. Low-GI foods do not raise the postprandial sugar levels drastically. They are slowly digested and absorbed compared to high GI foods. This way there is a controlled release of sugar in the blood. These foods also help in increasing the colonic fermentation. This in turn helps in increasing the function of the good gut bacteria and enhances the amino acid metabolism. It also helps in the production and absorption of short-chain fatty acids in the large intestine. Low GI foods are also good for preventing insulin resistance, reducing the risks of diabetes and cardiovascular diseases and for improving lipid profile. Cereals – oat bran, natural muesli, rolled oats and porridge. Bread – whole wheat bread, soy bread, multigrain bread, sourdough bread, sourdough wheat bread, and dark rye bread. Carbs – steamed brown rice, rice noodles, buckwheat, wheat pasta and pearled barley. Snacks – walnuts, corn chips, yogurt, pistachios, almonds, coconut, peanuts and hummus. Fruits – grapefruits, grape, peach, apple, plum, strawberry, orange, kiwi, cherry, prune, mango and dried and fresh apricots. Veggies – carrot, broccoli, tomato, lettuce, green peas, cabbage, new potato, green beans, bell pepper, cauliflower, spinach, onion, sweet potato, cucumber and kale. Legumes – red lentils, brown lentils, kidney beans, black-eyed beans, garbanzo beans, navy beans, pinto beans, yellow split beans, butter beans and baked beans. Beverages – full-fat milk, freshly pressed low GI fruit and vegetable juice, coconut water, soy milk, buttermilk and water. Desserts – dark chocolate, milk chocolate, homemade custard, and nurtella. Low GI foods are healthy but this does not mean that high GI foods can be bad for your health. You can mix high GI foods with low GI foods and consume them. Try not to consume foods that are artificial or processed. For example, you can have white rice with lots of veggies, a good source of lean protein and healthy fats to bring down the GI. This means that you can consume medium or high GI foods if you consume fibre, healthy fat and lean protein along with plant-based carbs. Take a bowl and mix 2 tablespoons of olive oil, two tablespoons of lime juice, dried rosemary and thyme, smoked paprika and salt. Coat the mackerels with this mixture and leave it for 15 minutes. Meanwhile, you can toss the veggies, except lettuce, into a bowl. Add one tablespoon of pepper, olive oil and salt. Preheat the oven and take the fish and veggies in a baking tray. Bake it for 15 to 20 minutes. You can serve it with lettuce and a dash of lemon juice. This can serve 2 people. Mix honey, lemon juice, cumin powder, black pepper, coriander powder, ginger garlic paste and salt in a bowl. Add the chicken cubes in to the bowl and toss it. Keep aside for 10 minutes. Now take a stew pot and add two tablespoons of olive oil into it. Add the minced garlic to it and fry till you can smell garlic. Add carrots and lentils, and stir cook for a minute. Add celery, paprika powder and tomato, stir and cook for 30 seconds. Add one and a half cup of water and salt. Cover the pot and simmer for about 10 minutes. Cook the rice by boiling it in 2 cups of water. Stir the lentil stew and check if they are cooked. If not cooked, you can cover it and cook for another 10 minutes. Add two teaspoons of olive oil to a pan and fry the chicken you have kept for marinating. Cover and cook so that the chicken is cooked well. By this time the lentil stew and rice will be ready. Put the rice and chicken in a plate and serve the lentil stew in a bowl. Use coriander leaves to garnish the lentil stew. 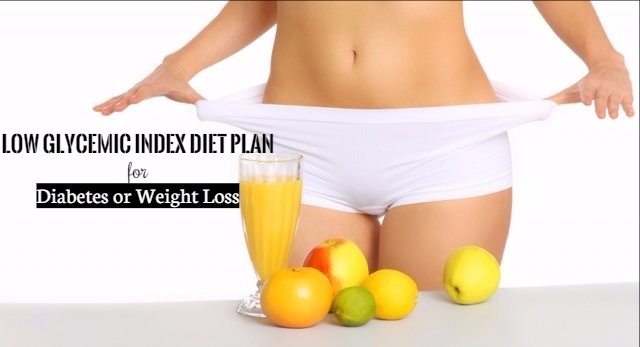 Thank you so much for your wonderful tips.. my father is having Diabetes and i will start this diet plan.